Ready to Become a Gator? by Ben Boorman on 4/16/2019 Length: 32 sec. We'll only have one 10th Anniversary, so please share a few moments with us this Thursday evening in the new gymasium. 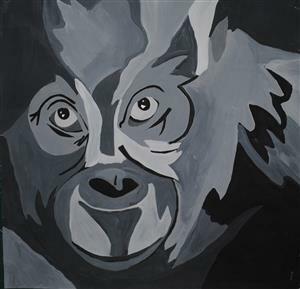 Click on the title for a video promotion by our Head of School. 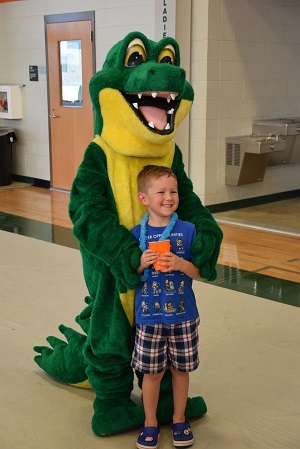 We need all families to become members of the Gator Club to help cover our annual operating costs, including teachers' salaries, extracurricular activities and permanent construction debt service. 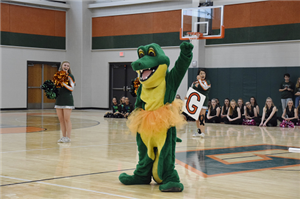 WE Love our Gator mascots! 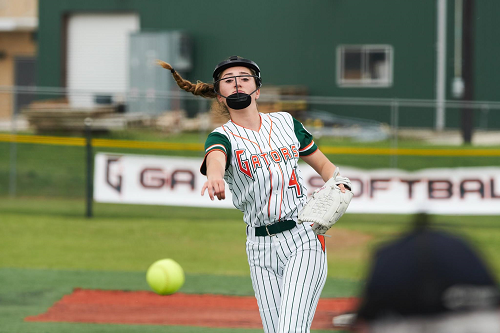 School News From "The Swamp"
(Apr. 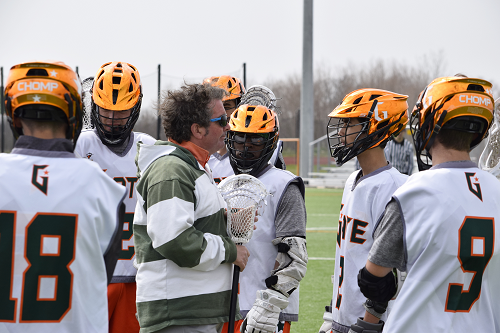 15) -- The Gator lacrosse team defeated McNeil on Saturday, 15 to 1, in the last regular season game. Now it's on to the playoffs! (Apr. 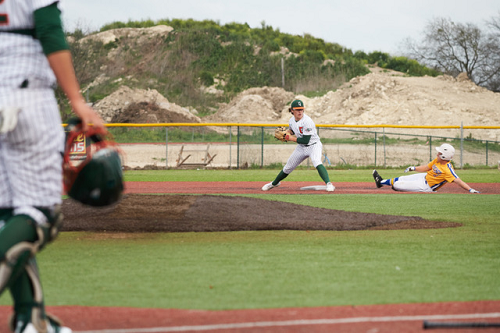 5) -- The Gators Varsity Baseball team defeated Lago Vista, 12-1 on Friday. (Apr. 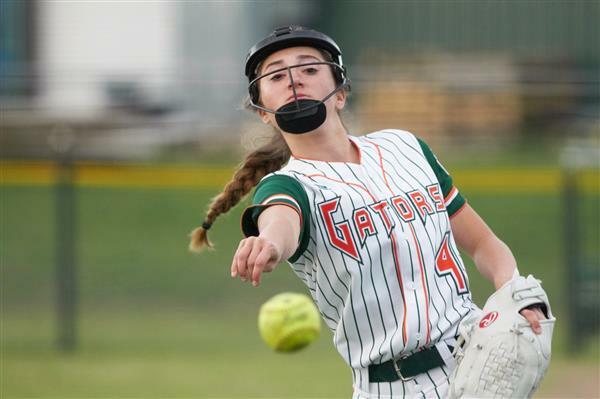 2) -- The Gator varsity softball team won its game vs. Johnson City Tuesday, 12-1. This is one step closer to their goal of making the playoffs. (Mar. 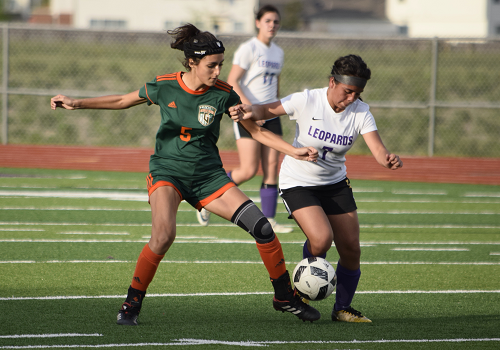 28) -- Gateway's varsity girls soccer finished a solid season with a Bi-District playoff loss to LaGrange, 2-0, in a match played at Elgin High School. (Mar. 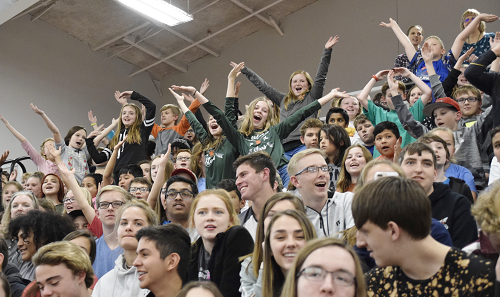 19) -- All 5th through 12th graders attended a Swamp Fest Pep Rally Tuesday in the new gymnasium to cheer and hear about the great successes of the various athletic teams at the school. (Mar. 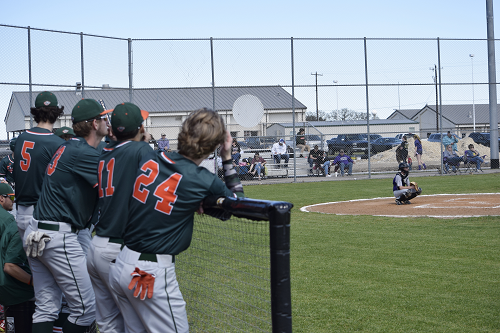 19) -- The Gator Varsity Baseball team won 11-0 over Jarrell last night. Noah Krieger pitched 4 innings striking out 5 and gave up 2 Hits. Daniel Brady finished the game pitching an inning and striking out 1. Chris Varjlen was 2 for 3 and Nick Chalman was 2 for 3 with a Home Run. 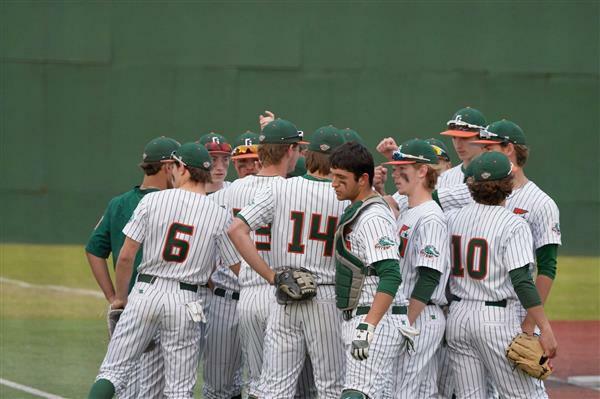 The varsity is now 14-4 and 3-0 in district. (Mar. 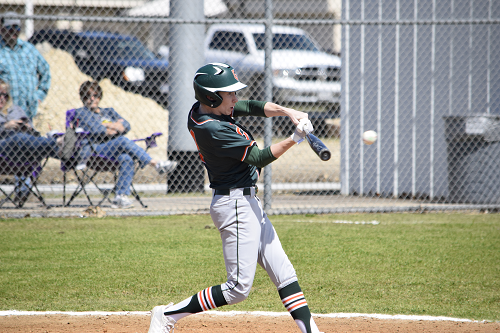 12) -- Pitcher Noah Krieger dominated as the starting pitcher and helped his cause with a home run over the left field "monster" en route to a 7-2 opening district win against Lago Vista. (Mar. 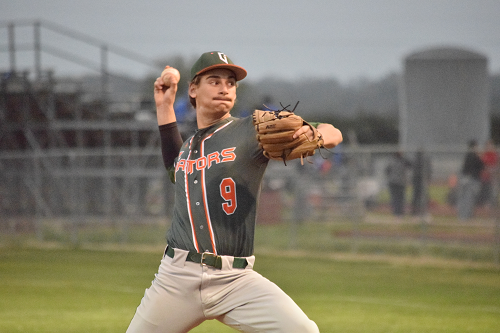 12) -- After blanking Manor New Tech, 15-0, the Gators were blitzed by Lago Vista's bats 18-2 in The Swamp evening their district record at 1-1. They play at Florence on Thursday. 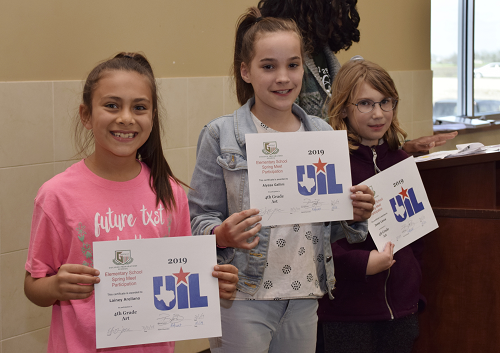 Congratulations to all students and coaches who competed in the University Interscholastic League (UIL) District 3A-South Zone Academic Meet on Friday, January 25, 2019! Click on the headline to view all the results. (Feb. 26) -- The Varsity defeated Salado last night 3-0 to improve to 5-1 on the year. Thomas Houle pitched 4 innings striking out 6 and did not give up a hit. 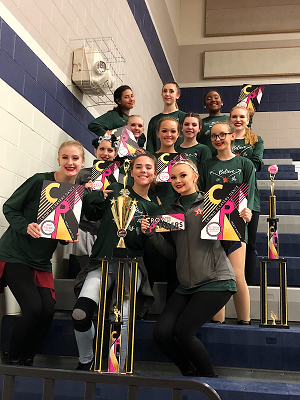 The Varsity, Middle School, and Elementary Stars excelled this past weekend at the Crowd Pleasers Austin Showcase. 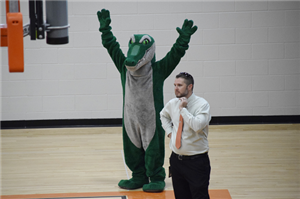 (Feb. 19) -- The Gator roundballers' season come to an end with their bi-district playoff loss to the Marion Bulldogs, 77-56, Tuesday night in Bastrop. 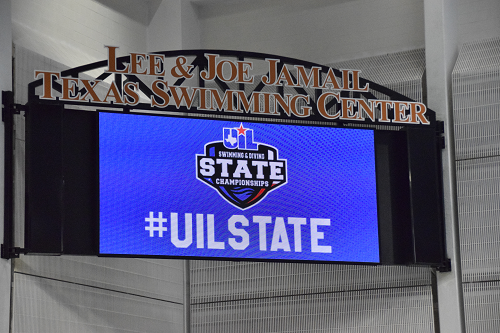 (Feb. 15-16) -- Lauren Chaney led the charge scoring a total of 10 points competing in the 200 freestyle and 100 freestyle finishing 14th and 10th, respectively. 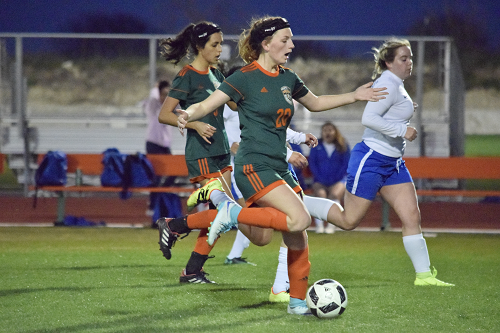 (Feb. 12) -- Gateway's Women's Soccer team began their pursuit of a district championship when they hosted the first district match of the year last night against the Rockdale Tigers. 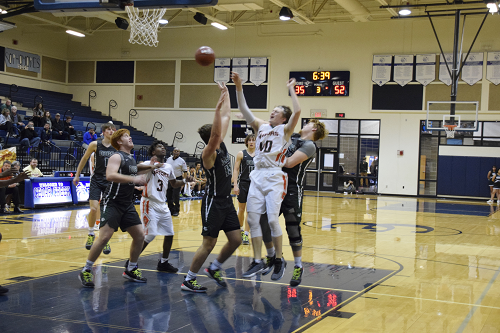 (Feb. 8) -- The varsity Gators, playing their final home game, trounced the new kids on the block, Manor New Tech HS, 66-30 Friday night. 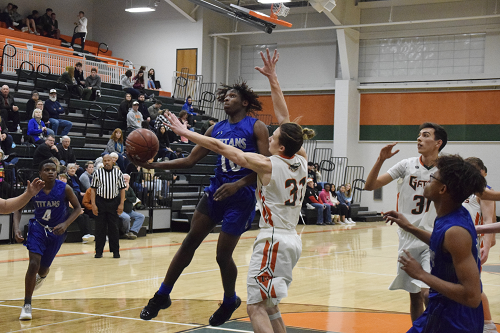 FUNDRAISING ALERT.....Orenda Education is attempting to raise monies to fund an LED video display board to be mounted in the new Main Gymnasium on the Gateway College Prep campus. Donations totaling $50,000 are required to purchase the 6.6 foot-tall by 11.48 foot-wide pixilated board and control system. The LED board would enhance a K-12 school community experience by promoting all the activities that occur in the gym... from athletic events to pep rallies to fine arts performances to graduation exercises. 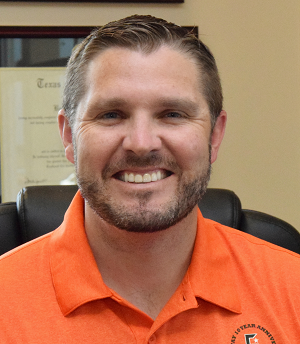 “We feel this is a great opportunity to showcase our students and our school environment to all who will view content on this state-of-the-art media tool, including students, families and visitors to the campus” said Tommy Turner, Director of Community Relations. Turner said much of the content for the display board also would be created by students studying video production and broadcasting courses now offered at the secondary school level. The video board will need to be staffed during events and student volunteers would help in those roles. Eventually, advertising space could be sold with revenue helping to underwrite a portion of the cost of the board. 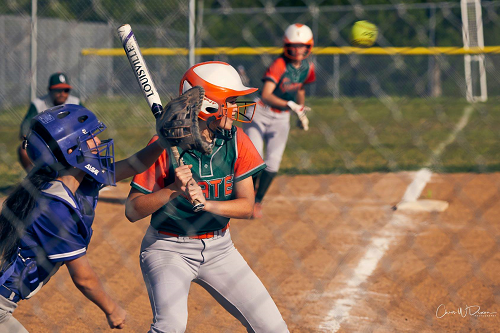 Multi-year contracts could be sold to larger advertisers or local businesses with smaller budgets could purchase digital announcements during a single athletic event, for example, Turner said. 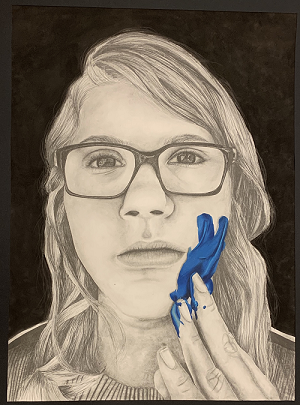 Persons interested in making pledges or donations to this project should contact Mr. Turner at tommy.turner@orendaeducation.org or call 512-869-3020. 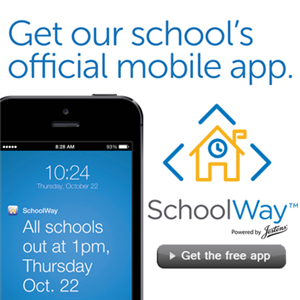 The Schoolway app will send you push notifications to your device, but can also send you text notifications or email upon your request through settings. Sign up today and never again miss out on events and communications at Gateway. 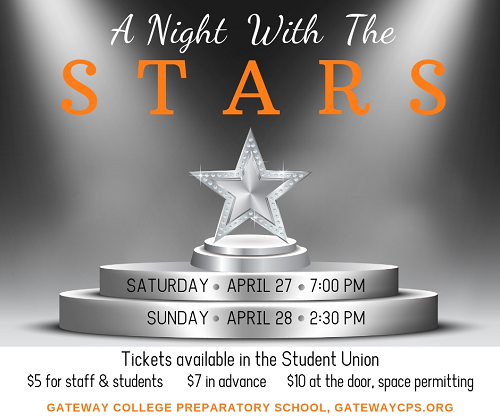 You can find out more at MYSCHOOLWAY.COM/GATEWAYCPS.